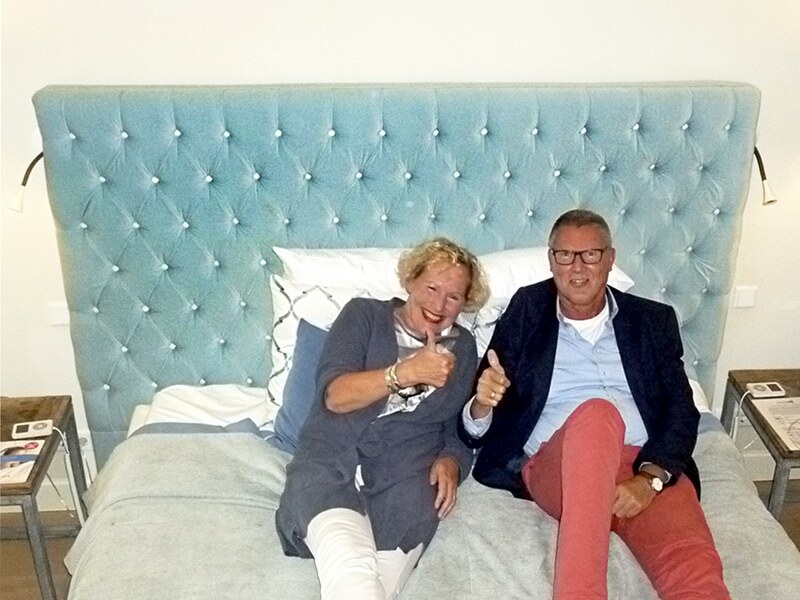 Mr and Mrs Hofstee spent the night on a FreshBed at the Merlet in August 2017, and afterwards left a glowing review on the bedside feedback card. We were so pleased to read it that we reached out to ask Mrs Hofstee a few more questions. She was more than happy to elaborate on her experience. It was so amazing, really a great experience. Hotels are often too warm for us, and it was so warm that weekend in Schoorl, so we took a shower and went to bed, but then we were really surprised. Normally, I can’t sleep through the night – I get out of bed if it is too warm and take a shower to cool down. But this time I slept through the whole night and never felt overheated. It was such a good night that I immediately wrote a review, because I think you should spread the word about FreshBed – not just for hotels to have, but FreshBed for private use as well. FreshBed: Were you aware that there was going to be a FreshBed in the room before you arrived? No, we actually didn’t know, and had never heard of FreshBed. But after spending the night, I immediately said that I wanted my own FreshBed at home. You really need to continue to spread the word, because it was a great experience. FreshBed: Haha, thank you, we are certainly trying! What was the most surprising thing about your experience with FreshBed? The great ventilation between the sheets. I felt fresh all night and even in the morning. In general, we felt healthier after those nights. FreshBed: And when you book a hotel, do you usually look at the type of bed? Not always, but we do read the reviews about the sleep quality, because it is important to get a good night’s sleep. Otherwise, the next day is a waste of a day after a night of bad sleep. FreshBed: Indeed, whether traveling for a holiday or for business, you need a good night’s sleep to feel fresh and at your best the next day. When you check out of a hotel, do hotels usually ask how your sleep was? You know, we have never been asked about the sleep specifically before, just how the whole stay was in general. So when we saw the bedside questionnaire at the Merlet, we were happy to fill it in. It’s not a normal question on booking.com, either – they ask about the restaurant but the sleep is an important part of the experience, too! FreshBed: We agree! And last question- normally when you choose a hotel, what is it that you focus on? What should the ideal hotel have? The reviews should be positive, the place should be nice, and the personnel should be friendly and helpful. A hotel should have more than you do at home, so that you have a lot to look forward to, and can spend a relaxing day and night there. FreshBed: Thank you so much for your thoughts. Any last words? Keep promoting…the world needs to know about FreshBed! We wish you a lot of success – we’ll only go to hotels with FreshBed now! It seems FreshBed has a new fan! Are you convinced? If so, get in touch. 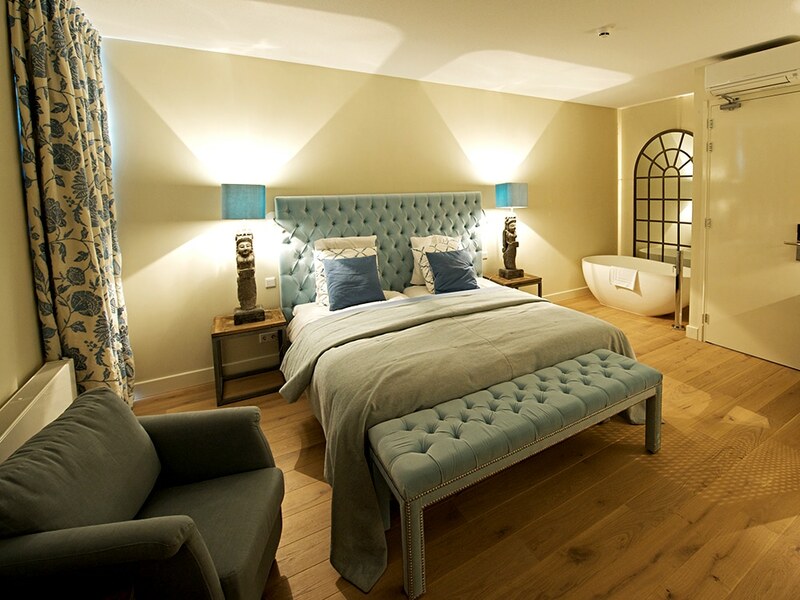 FreshBed will ensure that all of your guests enjoy a perfect sleep and check out of your hotel feeling equally enthusiastic about their stay as Mrs Hofstee.